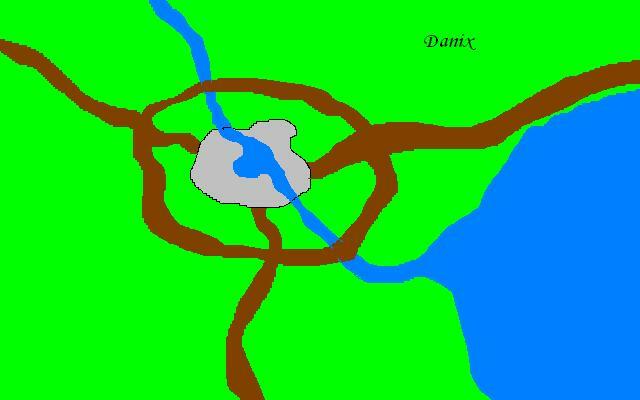 Danix	This city is a fiercely Matriarchal society. Men are treated as somewhere between a second class citizen and a slave. Obviously, such a society is ruled by a Queen. The current queen is a Dwarf, but the replacement of a Queen is decided by a “Women’s Council” which is shrouded in secrecy. Nobody outside the council even knows who’s on it. This is a multi-racial society, and since the women of the society can take practically any man for their mate, crossbreeds are quite common here. There is only one peace-keeping force in the city, the Queen’s guard. The city is populated by about 5000, and over 70% of that is men, but the vast majority of the population accepts the arrangement, and there’s really not a lot of opposition to the female rule. Men cannot own property, and in some cases, can become property themselves. Visiting men are allowed to walk freely, but men cannot go armed in the city. When a man enters the city, it won’t be long before the queen’s guard comes to pay them a visit. They will be taken to a city outpost, and their armor, weapons, and any identifiable magical items will be stripped from them. A circlet is granted to them to wear for the duration of their stay, and allows them freedom of movement, and the ability to buy and sell items. Citizenship, on the other hand, means that they give up most of their rights, but in exchange, the city cares for them. Food and shelter is free to men, and they are protected almost as children. Leaving is no longer an option at that point, however, and they are subject to the possibility of being taken into “service” if a woman takes a liking to them. Nearly every job that is offered to men comes with the ability of the boss to mate when they feel like it.